And, being quite a wimp, if the author had been anyone else but one of my favourite writers I doubt I would ever would have. However, for many years now I’ve enjoyed Terry Tyler’s books and so, with some trepidation, I read Tipping Point and was hooked. I waited with impatience for the second: Lindifarne… and then the third:UK21. So when I realised there was a fourth book: Legacy I had no hesitation in buying it. And I have to say this is one of the best books I have read for a long time; an exceptional read. As in all Terry Tyler’s novels the stories are character-led with convincing story-lines and evocative settings. And they are all written from various characters’ points of view, a method I love. There is a skill in making a believable world from the appalling destruction of the world we live in now; that skill shines out in the whole of this series. But it is this final book, set in various time frames, that truly reveals how it could be possible to totally reinvent a new world. And it shows, both in the settings and in the characters, the good and the bad in human behaviour. The book is populated with a great number of characters, all diverse, all rounded. There is not one character that I was ambivalent about; I either loved them ( it was wonderful to see Lottie again; even more feisty) or I hated them (I really did understand the fear that the character, Falcon North and some of his underlings could instil in others). As always in this author’s books, the dialogue, both internal and spoken is distinctive to each character. Strong themes are threaded throughout, of power, love – both familial and romantic (with a bit of lust thrown in for good measure), hatred, alternative beliefs, nature and, obviously, survival. 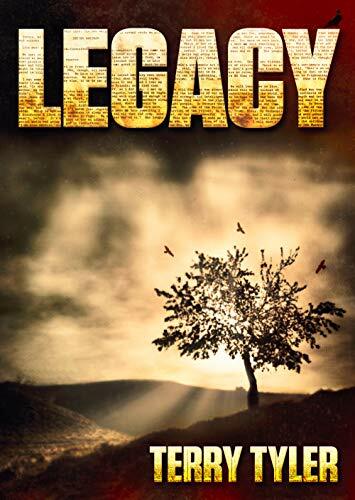 I am a slow reader and it’s been quite a while since I read the first three books, so it was a great help that the author has put a synopsis of each story before Legacy begins. And these are a good reminder, both of the plot and the characters. But, to me, these give only a flavour and, even though Legacy is my favourite and, for me, the strongest of the four, each book has its own unique strengths and so I would recommend readers to start with Tipping Point. I was given this novel by the author as a member of Rosie Amber’s Review Team #RBRT in return for an honest review. I enjoyed reading Connectedness. 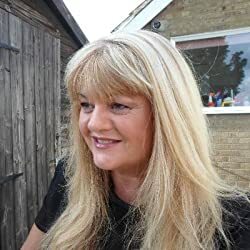 Although it is the second novel in the ‘Identity Detective’ series that features Rose Haldane, journalist and identity detective, who reunites the people lost through adoption, it can be read as a standalone novel. 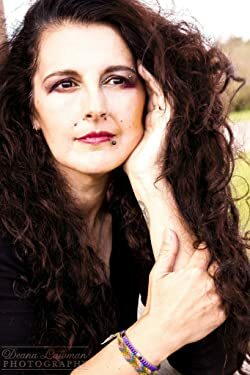 In Connectedness the story revolves around the protagonist, successful artist, Justine King, who discovers her life is, and has been, a web of lies and secrets. She is vulnerable and haunted by incidents that happened in her younger days as a student. The suspenseful plot is revealed through a clever blend of her past and present and has a steadily growing pace after an intriguing prologue. There are numerous layers to this book, details that are cleverly drip-fed throughout to reveal many themes: of sadness and distress, memories, anger, grief, familial love, discovery, loss and regret. The characters are well rounded and portrayed to evoke sympathy and understanding in the reader. Both the internal and spoken dialogue add to their credibility. 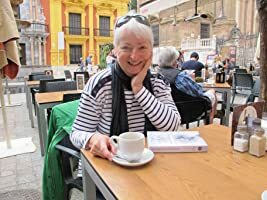 The descriptions of the settings of contemporary Filey in Yorkshire, Malaga in Spain in the eighties and London are evocative through the use of all the five senses and give a wonderful sense of place. At times I felt I was travelling alongside the protagonist in her journey of discovery. And the denouement is poignant and satisfying. Just the one reservation, and I’m sorry to say this, but I don’t like the title. If I hadn’t been intrigued by the book description and if I hadn’t loved the cover on first sight, I wouldn’t have chosen Connectedness. It doesn’t mean anything to me. Suffice it to say I’m glad I did choose this book. 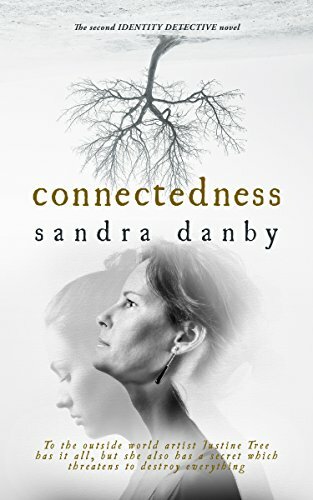 This is the first book I’ve read by Sandra Danby It won’t be the last. 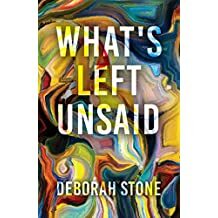 The idea of the story itself is intriguing and she has a sensitive yet powerful writing style that I have no hesitation in recommending to readers who enjoy contemporary and women’s’ fiction. Sandra Danby is a proud Yorkshire woman, tennis nut and tea drinker. She believes a walk on the beach will cure most ills. Unlike Rose Haldane, the identity detective in her two novels, ‘Ignoring Gravity’ and ‘Connectedness’, Sandra is not adopted. 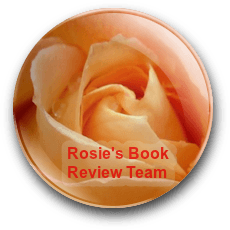 I was given Finding Max by the author as a member of Rosie Amber’s Review Team #RBRT in return for an honest review. Finding Max is an intriguing and powerful novel; a cross genre of psychological thriller and mystery. It’s a dark plot that is threaded through with themes of violence, abandonment and sexual abuse but these are juxtaposed and balanced by themes of courage, loyalty and love. I liked the writing style of this author and it’s obvious there has been a great deal of research into the deep-seated trauma of childhood mistreatment and cruelty. Darren Jorgensen treads a fine line but it’s done with sensitivity and skill. The reader is taken into the inner lives of the two main characters, two brothers, Guy and Max and their past and present lives. The antagonist, Quinn, is interesting; a psychopathic murderer who is shown to have a disturbing, unnatural love for Max. He stalks him, desperate to reclaim him and dangerously bitter by his belief that Guy and Jean have taken Max away from him. It’s a strong, well written portrayal of an adversary. I deliberated over some of the dialogue; I’m not convinced by it, especially that of Max. The inner dialogue, on the whole, is excellent, revealing the horror, the terror, the power of the mind and it gives understanding to some of Max’s irrational behaviour and need to hide, to run away. But the spoken dialogue he is given doesn’t always ring true; there is a sophistication there that feels wrong for this naive character. And, without the dialogue tags, it is occasionally difficult to discern who is speaking, Guy, portrayed as an educated and socially competent man, or Max. The description of the settings: Guy’s office, the shelter where he is based as a social worker, and his apartment; the way homelessness on the streets is shown, give a brilliant sense of place. I could see the world the characters move around in. Besides my thoughts on the dialogue, I had only a few reservations. Firstly, I felt that the pace of the plot was slowed down, in places, by the unnecessarily introduction of issues not particularly relevant to the story, Secondly, I was never quite sure about the coincidence of Max walking into the drop-in centre where Gary is based. But, for the sake of the plot, I accepted it as possible. I think it also should be said that there are explicit details of child sexual abuse some readers may find upsetting. 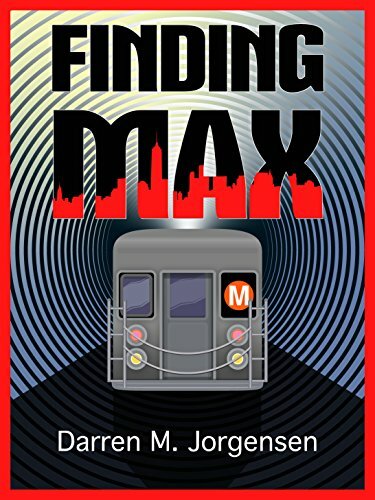 Although Finding Max is a standalone novel it is open- ended and could lead to a sequel. It’s been quite a while since I read a book in one go but I couldn’t put this one down. Someone Close to Home sent me through a whole range of emotions; delight, sadness, anger, joy, frustration. And this is a debut novel! The writing style of Alex Craigie is sophisticated, emotive and empathetic. This is a story of two halves: the time that Megan is in the badly-run care home, which lasts around six months and is told in present tense, mainly through the internal dialogue of the protagonist, and the whole of her childhood and younger life.told in past tense as flashbacks. The latter leads the reader inexorably to the point where Megan is lying helpless after suffering a stroke. She is at the mercy of mostly inattentive carers, poorly paid and resentful. Their actions, the way they carry out their tasks on Megan is described simply by her; they are tasks done to her, sometimes carefully, sometimes without heed. And then there is the carer, Annie… I’ll say no more. The description of of the protagonist’s days evoke the dreariness. The word, “waiting” is repeated so many times that I, as the reader, also waited with Megan, knowing, with some dread, that something awful will happen. The main characters: Gideon (childhood friend and later the man she loves. Claire, her true friend in later life, Jordan, Megan’s husband, egotistical actor and a cruel man, Theo and Camilla, her greedy and selfish children), are many layered and well portrayed; their dialogue identifies them immediately. And, although there are many flat characters,, in the guise of the carers and the owner of the care home, the author also gives them distinguishable voices. The descriptions of the settings give a good sense of place. The room Megan is lying in is told in meticulous but confined detail. We see the limited view she has, and only that. (it did give me a sense of claustrophobia, I must admit.). There is “the sturdy chest of drawers topped with shapes that will become a television and some framed photographs”as “the heavy grey light” “pushes into the room” after a long sleepless night”. We hear “the rattle of trolleys” that she knows is “laden with clean and soiled bedding”, the “insistent buzzing” of room bells, the “moans, shouts and cussing from room nearby punctuated by the chivying of staff”. We feel her pain through the roughness of the care, the threat of bed sores. And the details of the places in her childhood, the houses she lived in, countries she visited as a professional pianist, are full of evocative imagery. It’s a plot that moves at an even pace but, ultimately, it’s also one that took me by surprise. Even closely following the actions of the characters in the story still didn’t prepare me for the ending. Someone Close to Home by Alex Craigie is a book I thoroughly recommend to any reader. Talented pianist Megan Youngblood has it all – fame, fortune and Gideon. But Gideon isn’t good enough for Megan’s ambitious, manipulative mother, whose meddling has devastating repercussions for Megan and for those close to her. 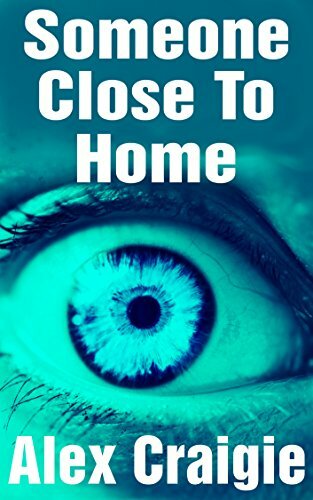 Now, trapped inside her own body, she is unable to communicate her needs or fears as she faces institutional neglect in an inadequate care home. And she faces Annie. Sadistic Annie who has reason to hate her. Damaged Annie who shouldn’t work with vulnerable people. Just how far will Annie go? 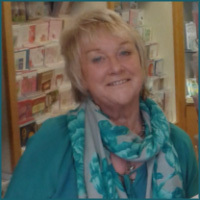 Born in Sunderland, in the north of England, Alex has wended her way south via Eccles, Bramhall, Histon, Cambridge, Leicester and Market Harborough before finally coming to rest thirty years ago in a peaceful village in Wales. She lives in an old, draughty house with stone walls 2’ thick that make any DIY a real challenge and she knows she’s really lucky to have all her children and grandchildren living close by. It’s often chaotic and noisy but these are her most treasured moments and she savours them – even if she’s reduced to an immovable heap after they’ve gone. When not writing, reading or simply enjoying the rural life, she’s in the garden waging a war of attrition against the brambles that she encourages in the hedges for birds to nest in, vicious nettles that support a variety of butterflies, and bindweed that looks lovely but doesn’t share nicely with the other plants.